Did you know that nearly 69% of all adults have lost at least one tooth? Of course, losing a tooth is a negative event, but the problems associated with tooth loss may be severe. Missing teeth can lead to gum disease, bone loss, and the risk of losing more teeth. 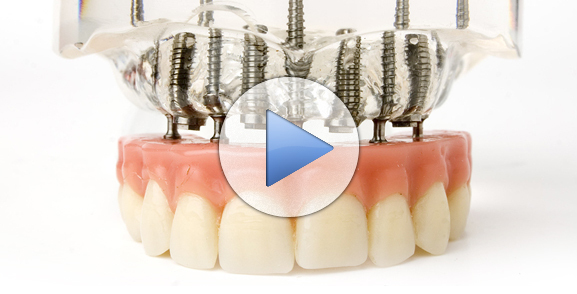 Therefore, to combat the missing tooth, we recommend a dental implant. Constructed from biocompatible titanium, dental implants contain both an artificial tooth and root, making them a permanent, reliable replacement. Designed to be a beautiful, natural-looking replacement, dental implants are just as strong as your original teeth. In addition, they also help prevent bone loss and help preserve the rest of your smile. 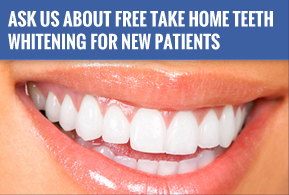 At Frankel Dentistry, we take a 3D scan to evaluate the area. Then the staff virtually places the implant in the image. Another scan is taken and sent to Germany where a guide is made. The guide allows the implant to be quickly and precisely placed. The bone will fuse with the implant, creating a secure foundation for your new tooth. Healing times may vary, but once this process is complete, a permanent crown will be placed on each implant or a denture will be secured and anchored by strategically placed implant posts.